But for outdoor lovers, it’s a different story. For any budding adventurer, winter — which lasts from June to August — is when Australia’s nearly three million square miles become a playground of snow-capped mountains, empty (or at least emptier) beaches, and awe-inspiring wildlife. You can ski and snowboard in Australia. An Australian skier and two snowboarders won three medals at the 2018 Winter Olympics, so no talk of winter in Australia should fail to mention snowsports. Referred to by most Australians simply as “the snow,” the mountains concentrated in the country’s southeast region between Sydney and Melbourne — imaginatively named the Snowy Mountains in New South Wales and the Victorian Alps in the state of Victoria — get several feet of the white stuff every year. Not bad for a country that’s 35 percent desert. That said, if you’re attracted to skiing in Australia by the prospect of skiing during the northern-hemisphere summer, you might want to rein in your expectations. Resorts in Australia tend to be smaller, get less snow, and have distinctly different identities. As a rough guide, in Victoria, Falls Creek is good for park-rats and Mount Baw Baw is ideal for beginners and families. 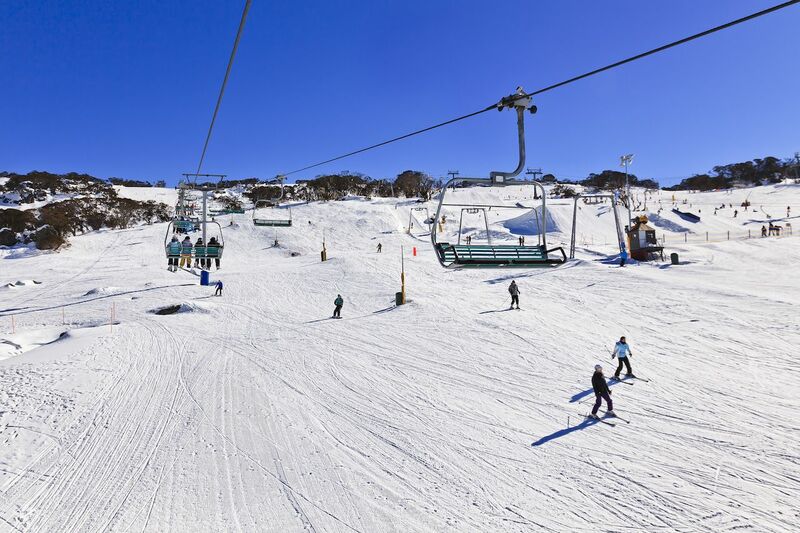 In New South Wales, Perisher and Thredbo have the largest skiable area and longest piste, respectively, in the Australia-New Zealand region. You’ll find fun pistes for experienced riders, as well as the occasional kangaroo. But it’s not too cold to get outside. Despite it being cold enough for snow in the mountains, the average temperature in Australia in winter is nearly 60°F, which is about the same as summer in the UK. What’s more, in the tropical north, where the dry season lasts from April to October, average rainfall is less than an inch. For hikers and trail-runners, this combination makes for idyllic outdoor conditions. It’s cool enough for long hikes or runs by day and just about warm enough to camp by night, although nighttime can get cold in some places. That said, with campsites like Wilpena Pound in the Ikara-Flinders Ranges National Park in South Australia offering the chance to wake up in the midst of 540-million-year-old desert surrounded by red earth, wooded gorges, and the occasional hopping wallaby, you might not even notice the temperature. You could always stay in one of the heated ‘glamping’ tents to be sure. 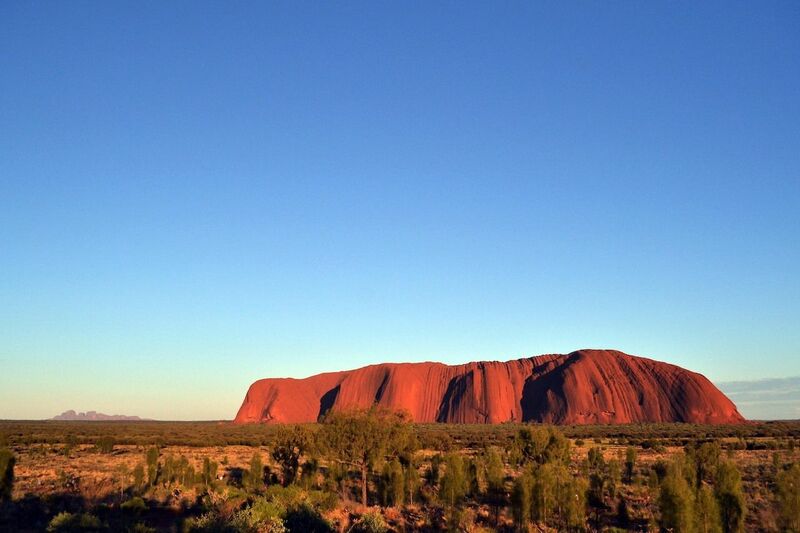 Alternatively, adventurers who want to avoid the cold altogether should visit the Northern Territory. The dry season is an excellent time to explore its “songlines”. These ancient paths across Australia were recorded in the lyrics of traditional indigenous songs, and it’s still possible to follow some on foot. A popular songline trek is the 139-mile Larapinta Trail, which starts at the sound end of the Northern Territory at Alice Springs — home of famed Uluru, or Ayers Rock, which glows red at dawn and sunset — and finishes by Mt. Sonder on the western end of West MacDonnell National Park. At the northern tip of Australia, the Jatbula Trail songline in Nitmiluk National Park is 41 miles long and takes five or six days to walk. It starts at Nitmiluk Gorge, where you can canoe and glimpse waterfalls; crosses the Arnhem Plateau, a large protected sandstone area with shrubs and forests; and finishes at Edith Falls. It’s the best time to whale watch. 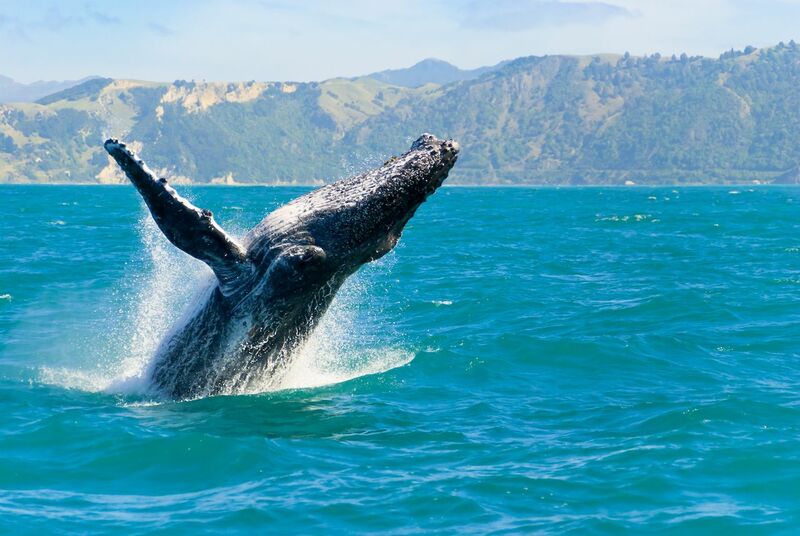 Every year, southern right and humpback whales journey thousands of miles north from Antarctica’s icy waters to mate and calve in warmer water at breeding grounds along the coasts of Queensland, New South Wales, Tasmania, Victoria, South Australia, and the southern coast of Western Australia. Even for non-nature-enthusiasts, watching these incredible mammals is a truly humbling experience. All of the states above offer whale-watching boat tours. In places where sightings are frequent, like the Great Australian Bight in South Australia, there are also whale-watching safari tours. These combine whale watching along The Bight’s breathtakingly rugged stretch of coastline with visits to Nullarbor, the arid desert that surrounds the coast and could be the poster child for the Australian Outback. The whale-watching safari tours can be expensive. If you’re sticking to a budget, you can look at local whale-watching accounts on Facebook and Twitter for updates on whales’ locations in real time. The accounts are often run by trained whale watchers who might be able to point you in the direction of the best viewpoints, like Petrel Cove in South Australia, where this whale was spotted a couple of weeks ago. 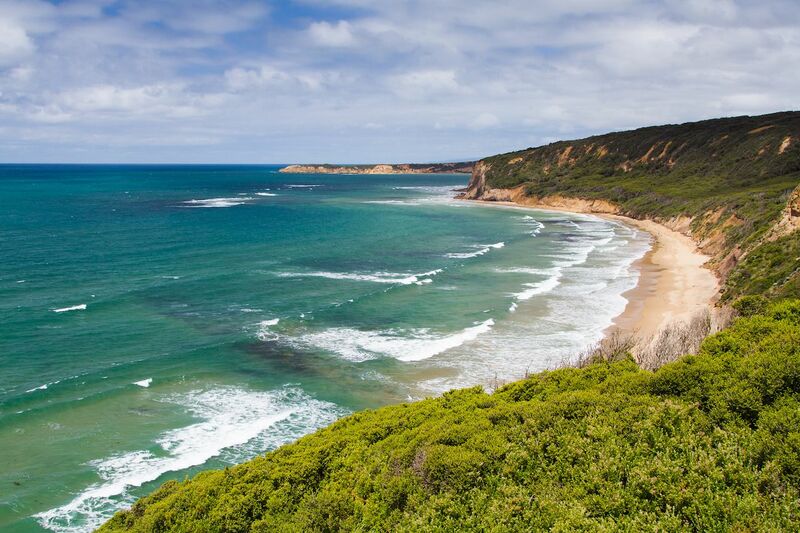 You can still make the most of Australia’s 16,006 miles of coastline. Australia’s coastline is where you’ll find more than half the country’s natural world heritage sites, some of the world’s best destinations for water sports, and so many beaches that it would take more than 27 years to see them all. Fortunately for anyone crazy enough to attempt this, they don’t need to rule out winter as a bad time to visit the beach. While Australians are lucky enough to be able to enjoy the ocean all year round, winter is one of the best times of year to make the most of everything it has to offer. From May to October, there’s clearer water at spots like the Great Barrier Reef, fewer tropical storms in destinations like the Whitsunday Islands, and all-time waves at iconic surf breaks like Melbourne’s Bells Beach and Snapper Rocks near Brisbane. There are also fewer crowds, less risk of being burnt to a crisp by the scorching sun, and perhaps most importantly, beautiful sunsets almost every night. If that’s not the definition of paradise for outdoor lovers, we don’t know what is.